Reviewer for Ophthalmic Plastic and Reconstructive Surgery (OPRS) Journal 2013-present. Mellington FE, Dayan CM, Dickinson AJ, Hickey JL, MacEwen CJ, McLaren J, Perros P, Rose GE, Uddin J, Vaidya B, Foley P, Lazarus JH, Mitchell A, Ezra DG; Thyroid Eye Disease Amsterdam Implementation Group (TEAMeD). Management of thyroid eye disease in the United Kingdom: A multi-centre thyroid eye disease audit. Orbit. 2017 March 15:1-1 [epub ahead of print]. I Elaroud, R Blanch, SB Vohra, F Mellington. TASER (Total Assessment before Surgical Eye Repair). Ophthalmic Anaesthesia. 2016;6(2):41-42. Edmunds M, Mellington FE, Ford RL, Torlinska B, Manavi K, Boelart K. Clinical challenges of thyroid eye disease in HIV positive patients on highly active antiretroviral therapy. J Clin Endocrinol Metab. 2015;100(3):779-87. Alexander I, Cuthbertson FM, Ratnarajan G, Safa R, Mellington F, Foster RG, Downes SM, Wulff K. Impact of Cataract Surgery on Sleep in Patients Receiving either Ultra-Violet Blocking or Blue-Filtering intraocular Lens Implants. Invest Ophthalmol Vis Sci. 2014 Jun 26;55(8):4999-5004. K Xue, FE Mellington, I Gout, S Rokeyra, O Olurin, A El-Amir. Combined Hamartoma of the retina and retinal pigment epithelium. 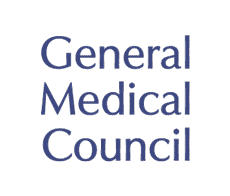 BMJ Case Reports 2012;10.1136/bcr-2012-006944. Published Nov 15 2012. FE Mellington, J David, JH Norris. Immunomodulators in thyroid eye disease. An update. Invited review. 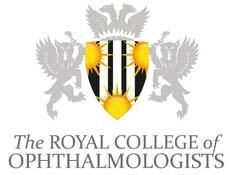 Ophthalmology International. Autumn 2012,7(3):86-89. FE Mellington, I Gout, V Tah, M Sarhan, S Rokerya, M Goldacre, AN El-Amir. Chapter: Retinal detachment: an update of the disease and its epidemiology. A discussion based on research and clinical experience at the Prince Charles Eye Unit. Advances in Ophthalmology 2012 ISBN: 978-953-51-0248-9, Intech. G Ratnarajan, FE Mellington, M Saldhana, S DeSilva, L Benjamin. Long-term Visual and Retinopathy Outcomes in a Predominantly Type 2 Diabetic Population Undergoing Early Vitrectomy and Endolaser for Severe Vitreous Haemorrhage. Eye 2011 25: 704-709. FE Mellington. Case Studies for the Ophthalmology section of website accompanying Medicine At A Glance (3rd Edition). www.ataglanceseries.com. Wiley-Blackwell. Oct 2010. FE Mellington. Chapter: Ophthalmology Clinical Cases. Medicine at a Glance: Core Cases. Wiley-Blackwell 15 October 2010. ISBN-10: 1444335111. ISBN-13: 978-1444335118. FE Mellington, A Assaf A Surgical Option for Antipodean Strabismus: Four Horizontal Muscle Resection. Journal of Paediatric Ophthalmology and Strabismus 2010 Aug 23:47. Mellington FE, Benjamin L. Symptomatic Dynamic Vitreomacular Traction During Accommodation and Head-down Posture preceding Definitive Vitreomacular Syndrome. Retinal Cases and Brief Reports. 2010; 4(3):270-273. Ezra DG, Derriman, Mellington FE, Jayaram H, Badia L. Spontaneous globe luxation associated with shallow orbits and floppy eyelid syndrome. Ezra DG, Derriman, Mellington FE, Jayaram H, Badia L. Orbit. 2008. 27(1): 55-58. O’Brart D, Mellington FE, Jones S, Marshall J. Laser epithelial keratomileusis (LASEK) for the correction of hyperopia using a 7.0 mm optical zone with the Schwind ESIRIS laser. Journal of Refractive Surgery. 2007; 23:343-354. Morrison DA, Mellington FE, Hamada S, Moore AT. Schwartz-Jampel Syndrome: Surgical Management of the Myotonia-Induced Blepharospasm and Acquired Ptosis after Failure with Botulinum Toxin A Injections. Ophthalmic Plastic and Reconstructive Surgery. 2006; 22:57-59. Ezra DG, Mellington F, Lewis G, Cugnoni H, Westcott M. Reliability of ophthalmic accident and emergency referrals: a new role for the nurse practitioner? Emerg. Med. J. 2005; 22:700-705. EH Hughes, FE Mellington, LA Whitefield. Aqualase for cataract extraction.Eye. 2005;21:191-194. JA Berkeley, I Mwangi, FE Mellington, S Mwarumba, K Marsh. Cerebral malaria versus bacterial meningitis in children with impaired consciousness. QJM 1999 92: 151-157.